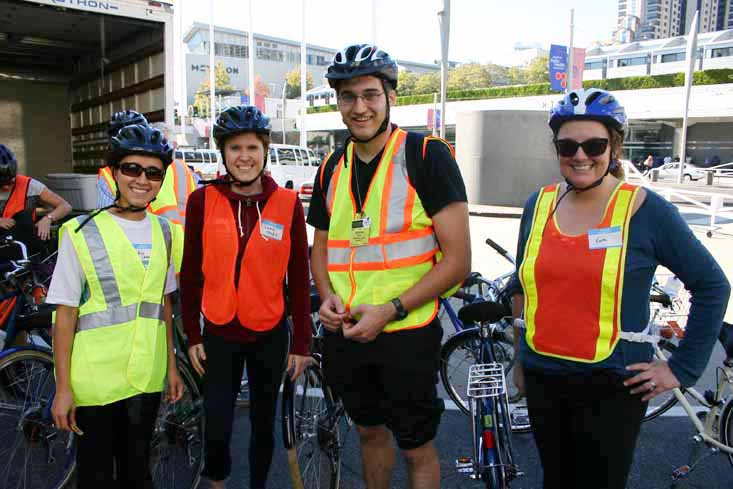 Annual Meeting attendees get ready to participate in the Environment Section's Healthy Built Environment Bicycle Tour earlier today. Beth Altshuler, Jeremy Nelson and myself are deeply indebted to Daniel and Tim of Streets of San Francisco Bike Tours for getting us great equipment for our tour. All comments have been super positive so far and we are going to plan Boston 2013 to be even better!